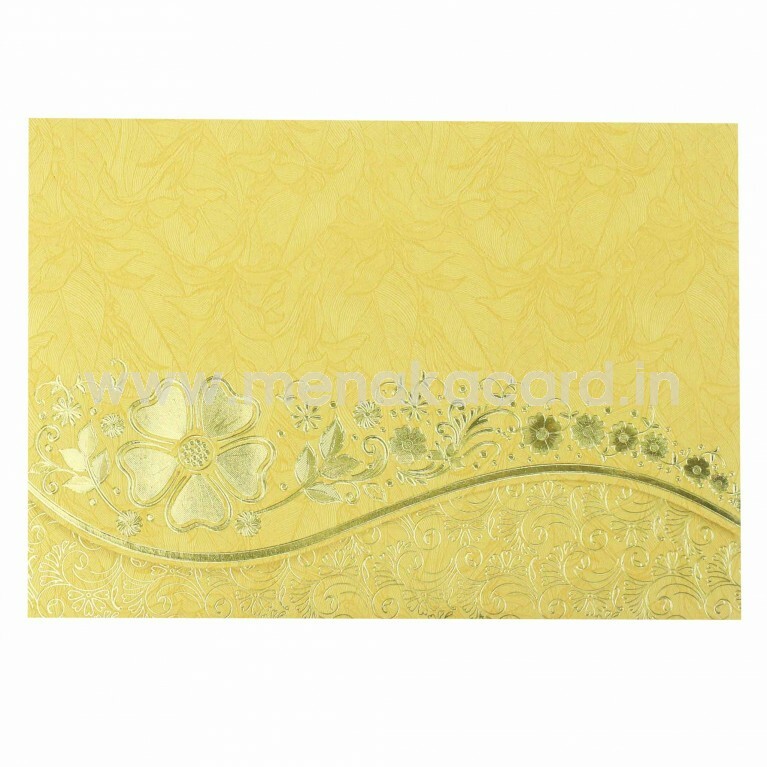 This good-looking dark cream card is made from a matt finish art board with a laptop flap fold. The main flap of this card has a wave die-cut edge with simple but ornate gold foil floral motifs imprinted into it, matched by a delicate lattice floral pattern on the cardholder flap below. 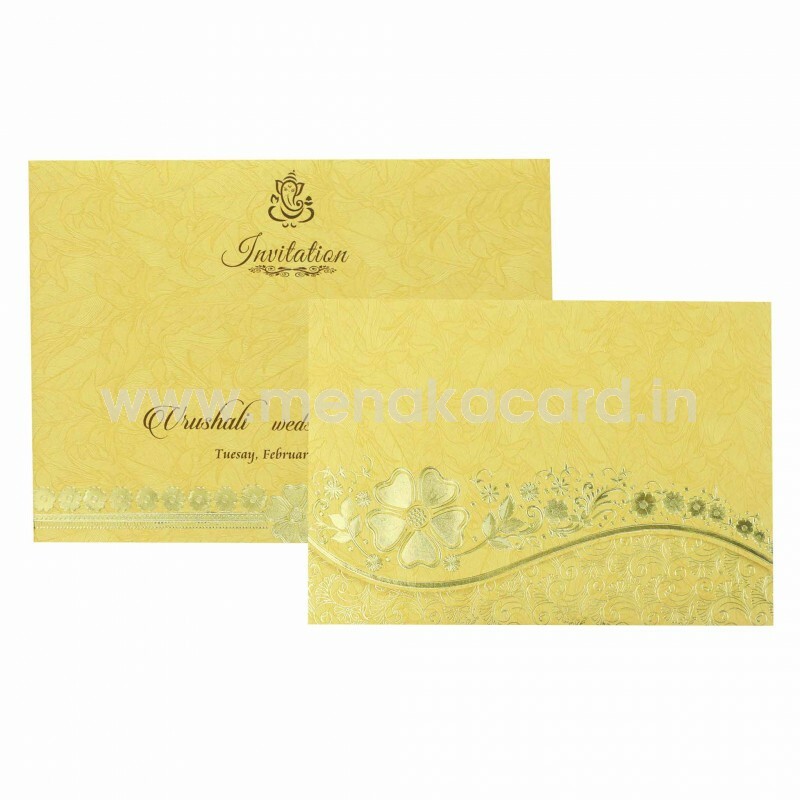 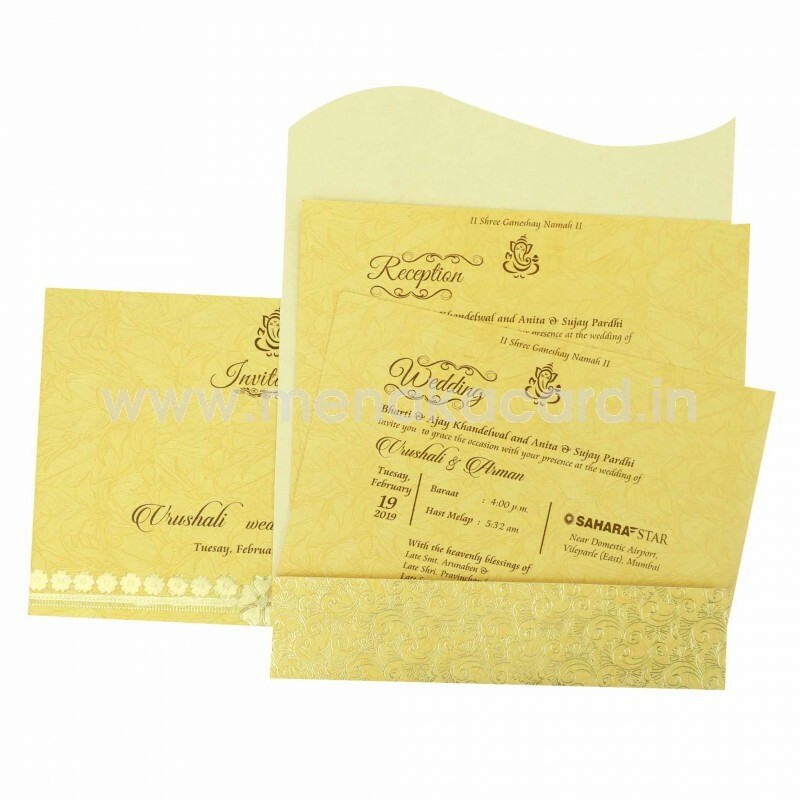 The inserts of the card inside this holder are made from the same material as the card and envelope and have the content printed in contrasting brown ink. 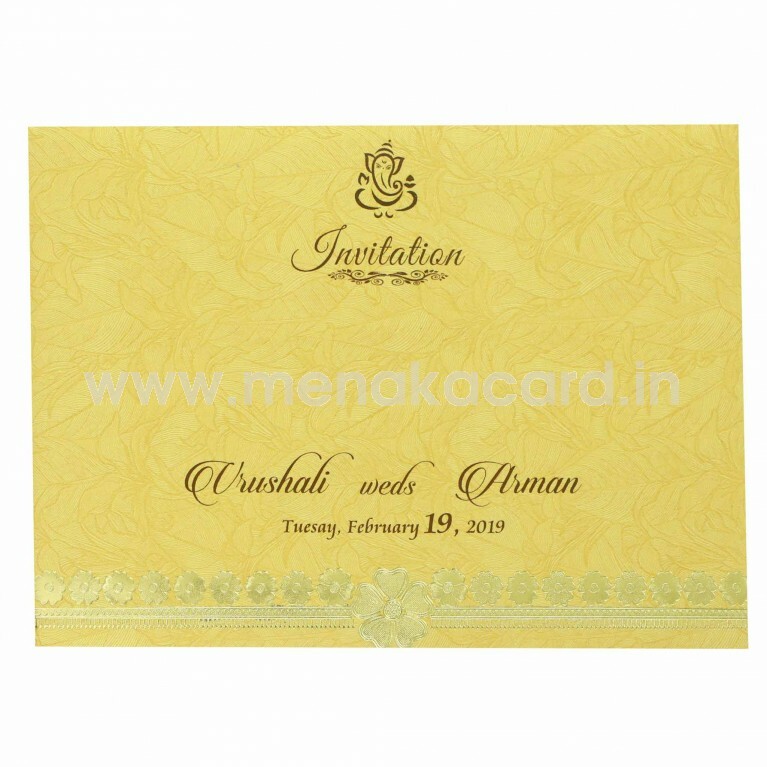 This can be used for Hindu, Muslim, Christian weddings as well as other occasions such as grahapravesham, upanayanam, engagement etc.